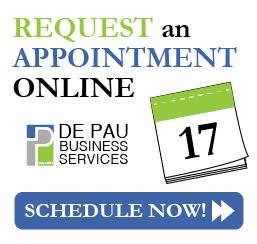 EMERGING IN 1981 AS A SMALL FORWARDING AGENT AND PERSONAL BUSINESS ADMINISTRATION OFFICE, DE PAU BUSINESS SERVICES WAS A FORCE TO BE RECKONED WITH. A STRONG MORAL BACKGROUND TOGETHER WITH A PERSONAL TOUCH SOON MADE DE PAU A HOUSEHOLD NAME. THREE GENERATIONS OF CLIENTS HAVE NOW PASSED THROUGH THE DOORS AND WE HAVE ONLY GROWN TO ACCOMMODATE A DEMANDING COMMUNITY. WE DROPPED SOME SERVICES FOR NEW ONES DEPENDING ON MARKET DEMAND. WHAT HASN’T CHANGED IS OUR PERSONAL TOUCH. WE TAKE PRIDE IN DEDICATING QUALITY TIME AND EFFORT TO ALL OUR WORK. A STRONG CUSTOMER RELATIONSHIP IS AN ESSENTIAL TOOL WE HAVE SUCCESSFULLY EMPLOYED FOR OVER 25 YEARS.